THE 9ROUND 30 MIN KICKBOX FITNESS phenomenon comes to Encinitas! 9Round delivers the ultimate body transformation program for all fitness levels! It is a specialized fitness center for people who want a unique, fun and proven workout that guarantees results. 9Round offers a kickboxing themed fitness program that incorporates a functional, interval, cardiovascular, and circuit training regimens. The program is a circuit system of nine challenging workout stations developed by a World Champion Kickboxer. Show up at your convenience; No class times! Enjoy a new workout every day; Workouts change daily! 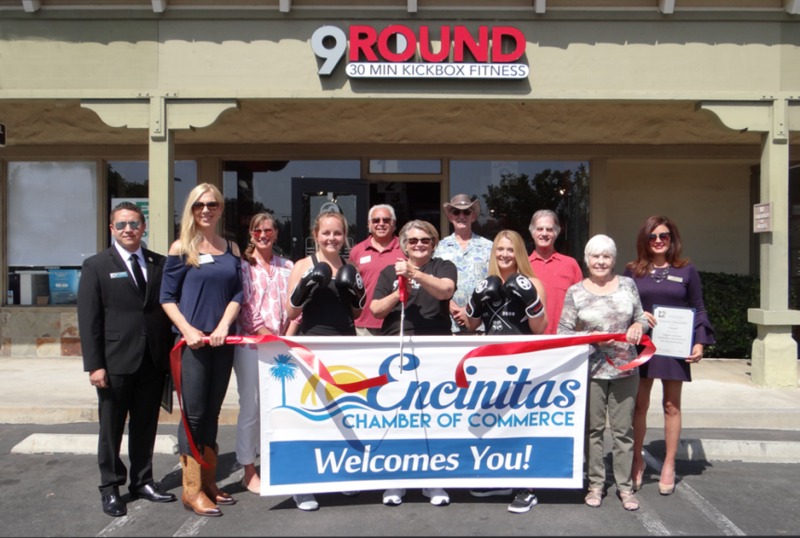 9ROUND 30 MIN KICKBOX FITNESS is the first business endeavor for Daughter/Mother entrepreneurial team Julia Eaton, of Encinitas & Diane Daley-Eaton, Del Mar. Julia fell in love with 9ROUND circuit training after she had her baby and needed to get back into shape. Julia has since lost 40 lbs. in the past two years and owes most of it to the 9Round program! She works out at 9Round three times a week and will be the Master Trainer at the Encinitas location. She has had 2 complete knee reconstructions in the past and is knowledgeable on injury prevention. Become a Charter Member and lock-in their lowest rates plus free gloves and wraps! This month-to-month Charter Membership Special is available for only the FIRST 100 MEMBERS. 75% off registration fees, regularly $99, now only $25 (plus tax) and $20 off monthly dues, regularly $109 per month, now only $89 per month. The only payment due at start is $25 (registration fee). Monthly dues begin when gym opens for service. All Presale Members will receive a free pair of 9Round championship boxing gloves and supportive hand wraps……. (a $40 value)! Like their Facebook page 9Round Encinitas for updates and you’ll be notified by email when their Open House takes place and when their doors open for service. Sign up today-1st WORKOUT IS ALWAYS FREE!